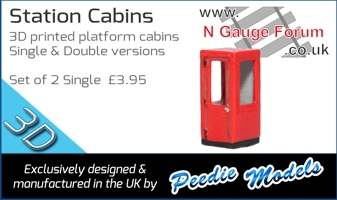 I wouldn’t go cheaper especially in N gauge as the results will be disappointing all of course IMHO. I too am interested in which one, I have read through many threads and end up more confused than anything, these Iwata brushes seem to get good reviews, however I see the paint cup can be in various places depending on the model, which is preferable for our applications? Ease of use and placement of cup obstructing the object being sprayed? I was in Aldi, (in Ireland), today and saw that they had one for something like €69, (about £60). I quite like the tools made for Aldi and was tempted. However, it was syphon fed, (if I read it right - the paint bottle was under the airbrush), and from having read reviews on the forum and elsewhere, a gravity fed airbrush seems to be the way to go - I am right thinking that? Addit: Should have said the set up was complete in that it also had the compressor. @dannyboy If that price includes the compressor, its a cheap airbrush. I have four or five airbrushes and I favour side or bottom fed airbrushes. The reason being that the cup can get in your line of sight if you are doing close-up work. Obviously for longer strokes it wont matter as the object will be further away. Incidently the airbrush I recommended does have a top feed cup. In my opinion that is the neo's one disadvantage. However, a bottom or side feed probably costs twice as much. I think for people wanting to learn airbrushing you have a couple of options; get someone to teach you, or do as I have done and watch endless videos on youtube and have a go, buy several airbrushes and make your own decision. Actually having more than one one airbrush can be a benefit if you need a couple of colours at the same time. I used https://www.everythingairbrush.com/ and they were very helpful in answering questions, I was actually buying one to use on my Graphic Design degree, (was a Badger 155 Anthem and mini compressor kit) once I get moved and have a railway room... I will be revisiting this on the basis of a upgrading to a good modelling airbrush along with the badger which is great for what I needed it for. I know it's an unpopular opinion here, but a cheap -- if decent -- airbrush is better than no airbrush. I was on a budget, bought an all-in-one kit from Amazon with a generic airbrush and compressor for around £60. Gravity fed paint holder, double action design. The standard Chinese knock-off one. Honestly, it's fine for basic work. Resprays are easily doable with some practise, and weathering is a doddle. I'm sure the better brushes are smoother and offer more features. But a generic Chinese airbrush does a lot more than paint brushes, so worth the modest investment. It's the practise and acquisition of skills that makes the biggest different, IMHO. I was in the same position a couple of years ago, and bought a cheap compressor off eBay that came with 2 even cheaper airbrushes - got the lot for about £65, though I've just had a look now and the prices seem to have jumped up, and similar now is around £100 (though the compressor on it's own is around £80). The compressor is absolutely fantastic - it's got the 3 litre tank so you don't have it chugging away constantly (though it is surprisingly very quiet) and you don't get any pulsing, either. I'd say it was well worth the cost all on it's own, and I wouldn't hesitate to recommend it. Neither of the airbrushes that came with it I've ever used more than once (one bottom feed, one side feed). I bought 2 more - a top feed one from China for about £20, and a slightly better quality 'Spraycraft' SP50K which is bottom feed. I've used both of those quite a bit, but personally I much prefer the top-feed arrangement. I've been using it a lot more recently, and it's shortcomings are just begining to show. I'm now thinking of replacing it with an Iwata Neo. 1. Buy a cheap compressor, with a tank, off eBay/Amazon. They are well worth the money. 2. Buy a cheap dual-action airbrush from same. Maybe even 2 different style ones. Pay about £20 for it; use it, learn how it works, learn how to strip it down, clean it, and put it back together. And I mean learn how to clean it PROPERLY - it's amazing how much crap there can still be inside an airbrush that looks spotless, and it DOES affect your finish. Try different techniques, there are loads of videos on YouTube (I've recently been watching lots of tutorials about spraying 1/35th scale WWII tanks; not directly relevant to 1/148th scale UK railways, but some of the tricks & techniques are very useful!). 3. Once you've really learnt all the above, and you start to become limited by the airbrush itself rather than your lack of skill with it, THEN spend the money on a better quality one. Don't be tempted to buy an expensive airbrush straight away; make your mistakes on a cheap on first! Totally echo Nemo's post, I also bought an all in one kit with two Chinese airbrushes and a compressor. It's been very useful to get some practice. I keep thinking I should get a better one, but it does what I want. IMO the biggest factor in a good paintjob is the preparation - particularly masking. The best airbrush in the world won't help if your paint's bled between colours. An airbrush will certainly make for far more professional looking finishes though. I have been into Aldi a couple of times since the reply #3 and been tempted. I called in tonight on my way to work and they still had two left - reduced by a tenner! . So I bought one thinking that it is not the end of the world if it and me do not get on. . The topic in the Useful Gizmos thread about spray booths was also at the back of my mind, so, having some Amazon vouchers, I have gone and ordered the spray booth and, by using my vouchers, only had to pay just over £7 - well pleased. . The point of this post is to ask if any one can recommend a good book on airbrushing for a complete novice. I have had a bit of a search on t'interweb and there are loads . (I will have a look at YouTube later). The point of this post is to ask if any one can recommend a good book on airbrushing for a complete novice. I have had a bit of a search on t'interweb and there are loads . (I will have a look at YouTube later). I now have what feels like a 'military' style gas mask, with filters on either side. When I used that, I felt much better afterwards - and so did my lungs...! It's what I should have used in the first place. It has reminded me to get out again; over the past few months, each time it's been too cold, too windy, too hot, etc. "Underground, Overground: Our friends Electric"
Im not sure an airbrush book is of much use at all. I have one - acnt re,member what its called but its a general modelling thing and its useless. Much better to watch someone using one. 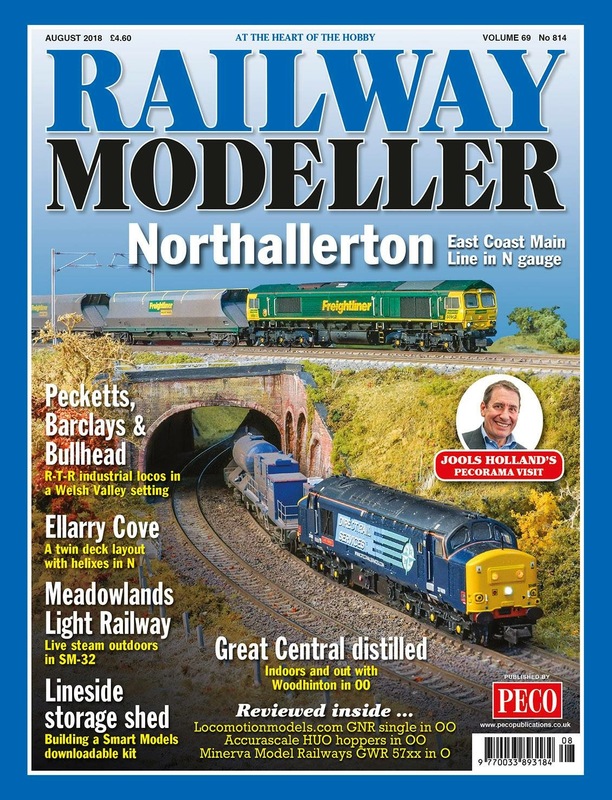 There are a lot of air brush tutorials on Youtube but in terms of airbrushing/weathering for model railways you would do well to beat the Right Track DVD - Weathering Techniques by Tim Shackleton. Unfortunately I think its out of production. You might get a copy at an exhibition. There are others but Tim goes into the airbrush a lot. I too recently bought an Aldi airbrush, only had a couple of plays with it on paper to get a feel for it. Get some ready mixed water based acrylic paint to try it out that way you don't have the viscosity to deal with and it is supposedly easier to clean and less fumes. There's a lot of tutorial vids on YouTube, I've been watching some by airbrush asylum which seem pretty good. Im not sure an airbrush book is of much use at all. I have one - acnt re,member what its called but its a general modelling thing and its useless. Much better to watch someone using one. Definitely agree with this, and I'd personally spend the money on extra paint so you can just have a play. Books and videos are all very well, but ultimately you've got to get the feel of your particular airbrush. It's all about how much do you press the button down, how much do you pull it back, and how far forwards or backwards do you position the model to get the paint effect you're after. The size of the needle makes a huge difference, but there's also the optimal position to have the needle in the nozzle once you've cleaned and reassembled the airbrush after use. And all of this is before you've determined the best way to thin paints to get the consistency that works best for your brush and expectations. Books and videos will all give tips, but at the end of the day every brush is different, so you have to try out different configurations and figure out what's best for you! Definitely worth experimenting with both acrylics and enamels to find out which you prefer and on which materials (plastic, metal and card, for example). Personally, I find enamels easier to use, though lots of people prefer acrylics. Try them both! Page created in 0.153 seconds with 45 queries.